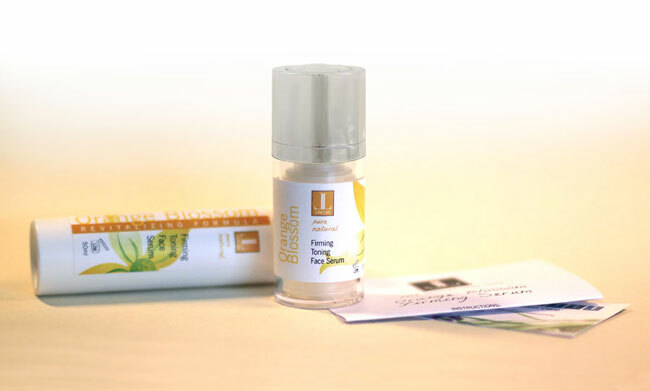 Here's one of my latest personal-formula products: Orange Blossom Serum. The request description: "My skin is beginning to feel drier in general and I need something that really sinks in and moisturises. Can you make something light and non-greasy-feeling that really has staying power and can be used on the face as well as eye area? Oh, and can you make it so I can use it either day or night?" To accommodate the delicate skin around the eye area, everything in this serum is formulated to be 'eye-friendly'. Happily, this also ensures that it absorbs easily – perfect for a product that needs to feel light. The lady (who is 30-something), recently changed her perfume from a musk-like, heavier scent to a lighter, summery-floral one. To complement this, orange blossom hydrosol was chosen as the liquid base. Not only is orange blossom hydrosol great for most skin, it has enough oomph in the scent department to 'carry' a serum like this. Orange blossom is quite special in this respect; the hydrosol has a more powerful fragrance than the essential oil. I have never added essential oils to any products for the eye area. Despite the fact that there are some oils that are applicable, my philosophy has always been 'less is more' when it comes to products for this most delicate area where the skin is thinnest. Because this has always worked well for me (and folks who have used my products), I've never been tempted to experiment. For the oil base, I decided to keep it simple and stick with one carrier oil: rice bran oil. This was partly to add eye area actives (it's great for battling dark circles and puffiness), but also to supply a velvety, melt-in feel with a microcirculatory boost. Actives were carefully chosen and included: hyaluronic acid, panthenol, AHA's along with a selection of herbal extracts. The lady has given me a thumbs up on this one. The serum has also been personally tested – both as a day and night moisturiser – and I'm finding myself fast becoming a fan of the lightness this product has. Next up: a version for myself with my all time favorite: rose hydrosol.